Election Commission Secretary Helal Uddin Ahmed on Friday said journalists can enter voting centres, take photographs and even talk to voters during the upcoming general election, but the Commission is thinking imposing a restriction on live telecast. He came up with the remarks while briefing reporters at Nirbachan Bhaban in the afternoon. The EC secretary said a proposal was placed at Thursday’s meeting on the law and order for preparing guidelines for journalists but the election commissioners said journalists can enter voting centres, take photographs and even take the opinions of voters. “There’s no restriction on such activities but the EC is considering imposing restrictions on the live telecast from vote centres. We’ll inform you in this regard later,” he said. Helal also said armed forces members will be deployed for 10 days from December 24 as the striking in the election. Asked whether the armed forces members will be given magistracy power, he said only executive magistrates, judicial magistrates and senior joint district judges will be on duty in the field with magistracy power. The EC secretary said 652 executive magistrates, 640 judicial magistrates and 244 senior joint district judges will perform their duties for four days from two days before the election day. About the use of mobile phones by journalists in vote centres on the election day, the EC secretary said there is an EC instruction that only presiding officers and police officers in-charge can use mobile phone inside a centre. “Others can carry mobile phone but they won’t be allowed to talk over it,” he said. 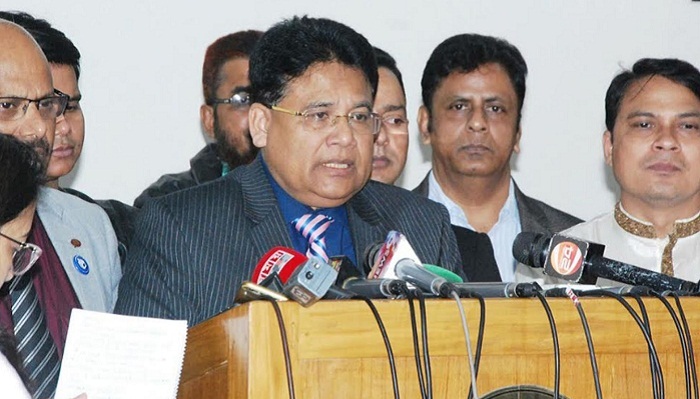 The election commissioners will provide training to the field-level officers, he said, adding that as part of it, the EC will sit in a coordination meeting in Rangamati with election officers of the three hilly districts on December 18. The EC will hold another coordination meeting with officers of Chattogram division in Chattogram on the same day. About allegations that many candidates were being obstructed from going to their respective constituencies, the EC secretary said the EC sends all the allegations to the electoral enquiry committee, but it did not find the authenticity in most cases.